Chinese Lunar New Year celebrations have been started on Feb 19th in China and South East Asia. Chinese people are flocking from all over the world to be with family and friends in China. 2015 is considered as The Year of Sheep. Chinese President Xi Jinping acknowledged Chinese Lunar New Year as the year of Sheep to the Chinese people all over the world at the Great Hall of the People. Hundreds of people gathered at the White Cloud Temple to offer prayers and to ward off bad luck in the New Year ahead, the Year of the Sheep. They burned incense sticks and hung up their prayers written on a red piece of cloth for a better year. People threw coins on a bell hung inside an empty well to get their wishes granted. 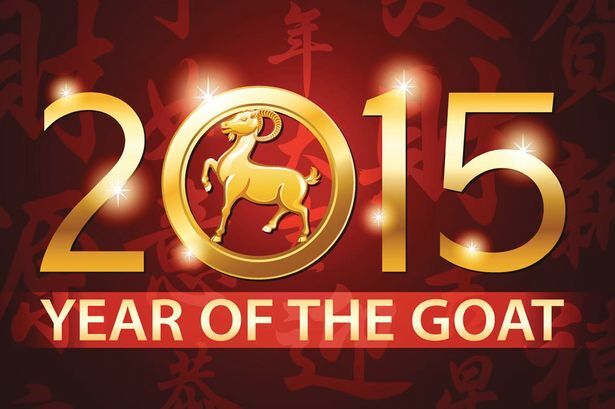 Many people have been confused with the Chinese character ‘Yang’ interpreting as ‘The year of Sheep, Goat or Ram’. A large mass of people believe it as the year of the Sheep, which signifies as serene, adorable and pleasing. Chinese Officials have restricted the sale of fireworks and crackers maintaining high levels of environmental pollution which has risen in the recent years. Many areas in china have been banned on lighting fireworks in order to reduce toxic air pollution. A new year is a new phase of life where a new revival and growth with a better awakening. Previous: A poor & hungry kid was taken inside McDonald’s for the first time. His reaction will touch your heart.